3CX offers advanced call center features for maximum employee productivity and enhanced customer service. Make sales, offer support, resolve issues and build customer relationships using the latest in unified communications and call center technology. 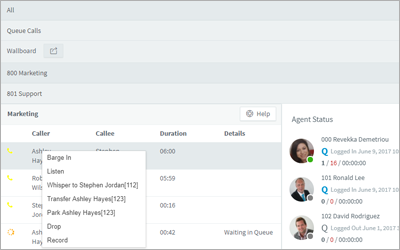 With the 3CX Live Chat & Talk plugin your agents can chat, video and call with your website visitors in real-time for a truly seamless customer experience. 3CX ensures that your employees can work more efficiently, track their progress and provide valuable interactions that your customers will remember. service, and that your agents always reach their targets. 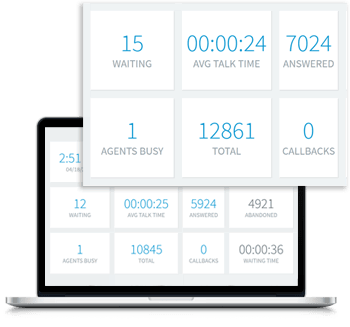 Check the average and longest waiting time as well as the least talk time to guarantee no customer leaves your call center unsatisfied. 3CX Pro provides you with all the tools required to review your agents’ performance at any given time. 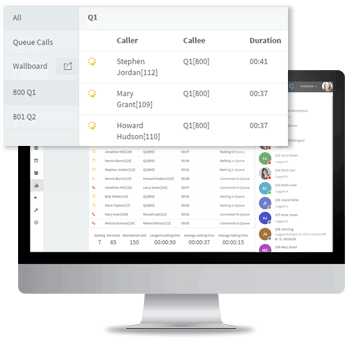 Answered calls, abandoned calls, average longest waiting time and more are all within easy reach, allowing you to ensure that your call center is running smoothly at any given time. 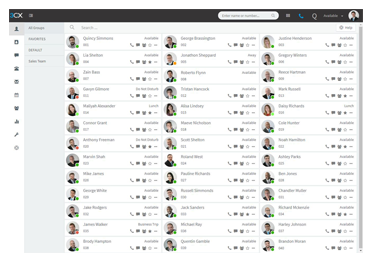 Improve the customer experience with a fully unified call center solution. 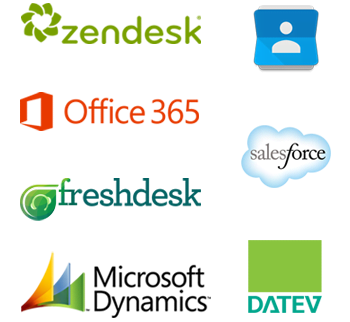 3CX enables employees to work more efficiently by streamlining communications and offers simple integration with a wide range of CRM, ERP and accounting systems.